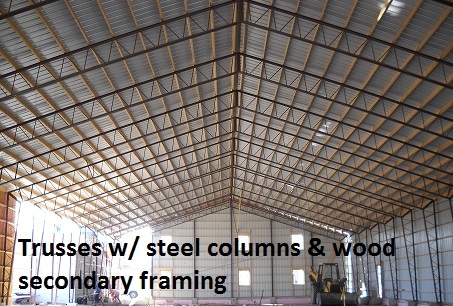 “SC” series trusses are available as a gabled symmetrical or gabled a-symmetrical design. 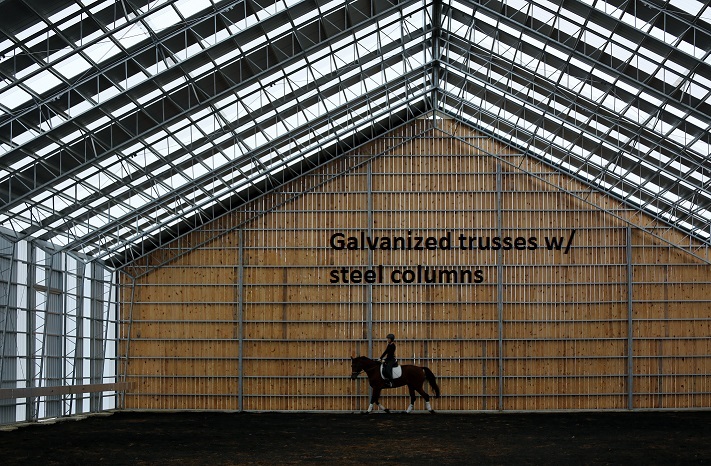 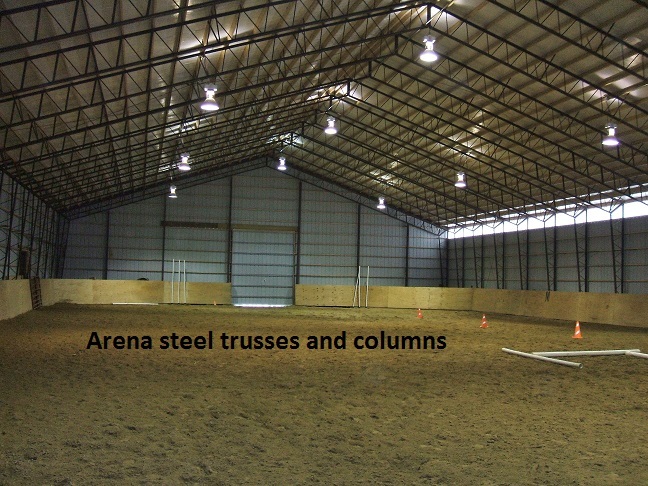 Includes steel girders and steel columns with clear span widths from 10’ through 100’, available eave heights of 8’ through 30’. 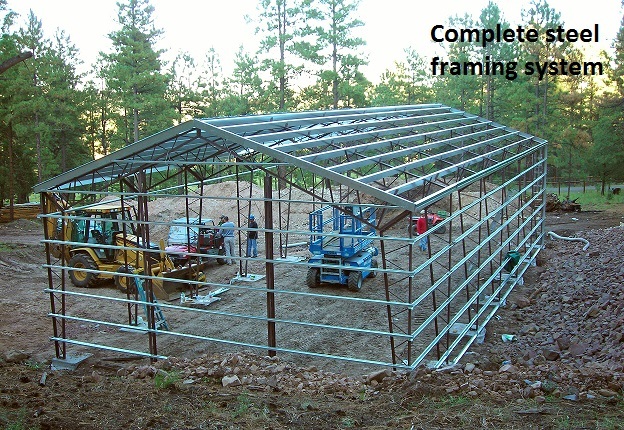 Pre-welded clips on 2’ centers for wood or steel secondary framing. 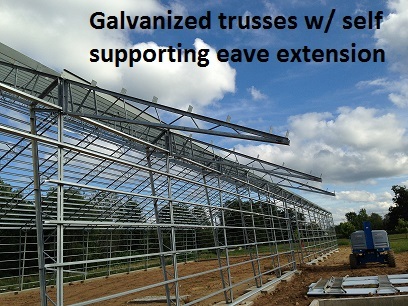 This truss system will support half truss (Lean-tos) out to 50' and self supporting eave extension (overhangs) out to 14’ also available. 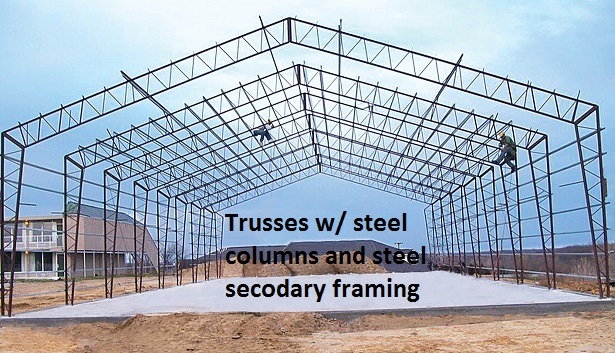 Standard truss centers will be 10’ or 12’ with wider centers as an option. 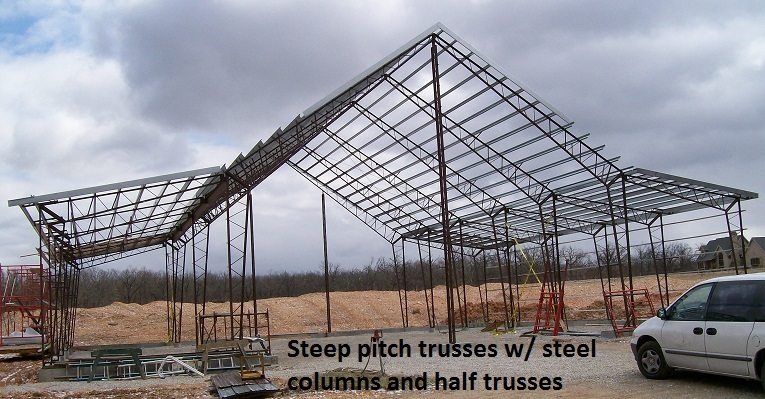 All truss packages are available with a licensed engineered stamp for any codes and loads required.